When I think about tourism, I think about traveling. Traveling is a journey, often to new and unexplored places. We taste new things, see new sights and sleep in unfamiliar places. Yoga is a journey, a path. We explore our bodies and minds and invariably discover new sensations, new thoughts and find ourselves in unfamiliar postures. We awaken, investigate and even retreat. We journey inward and if we are fortunate we have a skilled guide to help us navigate challenging terrain. When you are traveling in the Finger Lakes be a Yoga-Tourist! 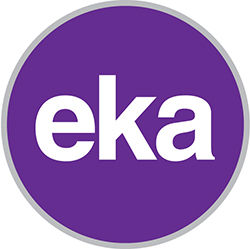 Eka is a center for yoga and creativity in downtown Auburn, NY. Eka offers yoga classes for travelers and lovers of discovery from near and far. We welcome anyone who seeks to explore the benefits of yoga, meditation and breathing for relaxation. Drop-in classes are only $20 and with a variety of classes to pick from, whether you are looking for a gentle yoga class or Kundalini. Additionally, there are evening classes as well as Saturday morning classes available. Check out ekacenter.com to find the perfect fit for your visit! Eka means "one" in Sanskrit and in Swedish Eka is the word used to describe a kind of small wooden rowing or sailing boat carved out of one tree. The name Eka was chosen to reflect the "one" space where yoga and creativity come together. Who knows, you might make a local friend and it could change your whole travel experience. One of Cayuga County’s outstanding features is it’s natural beauty. Many asanas (Yoga postures) have their roots in nature. Mountain, Tree, Garland, Crow. We salute the sun and celebrate the moon through salutations. We honor the changes in nature and in our very own nature, our bodies. The next time you find yourself on a mat or sitting for meditation perhaps you will explore your Self with the mind of a traveler, with curiosity and wonder. Perhaps you look at your own landscape and appreciate the beauty and celebrate the undiscovered inside of you. So travel, taste, see and rest in unfamiliar ways. Happy journey to you my friend. Namaste.